The pattern I’ve chosen is the mini rebel. 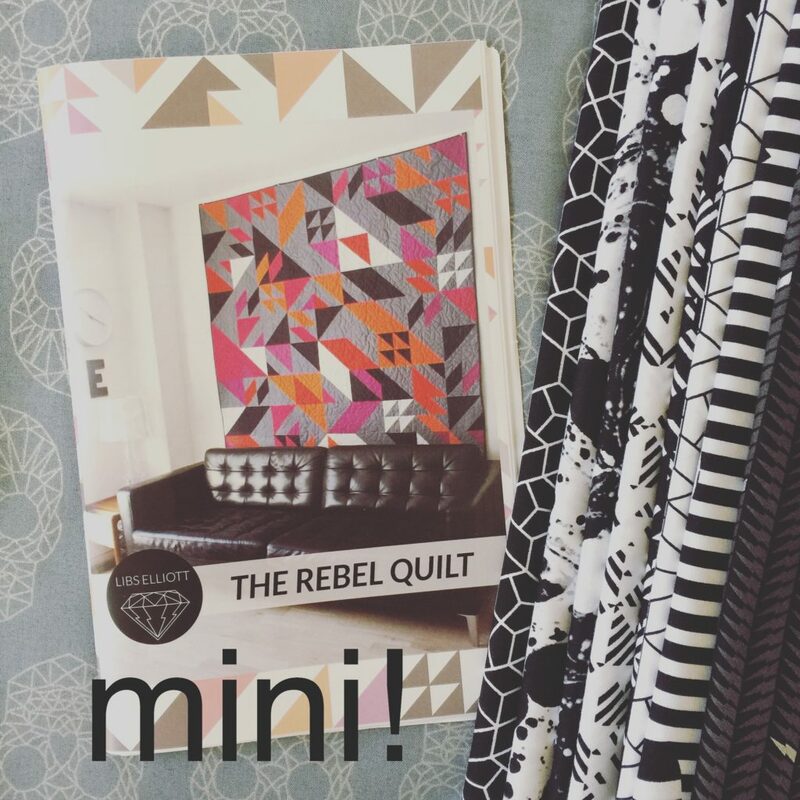 I already had the full-sized Rebel Quilt pattern and Libs has the free mini quilt version on her site that you can use to create a scaled-down version of the original. 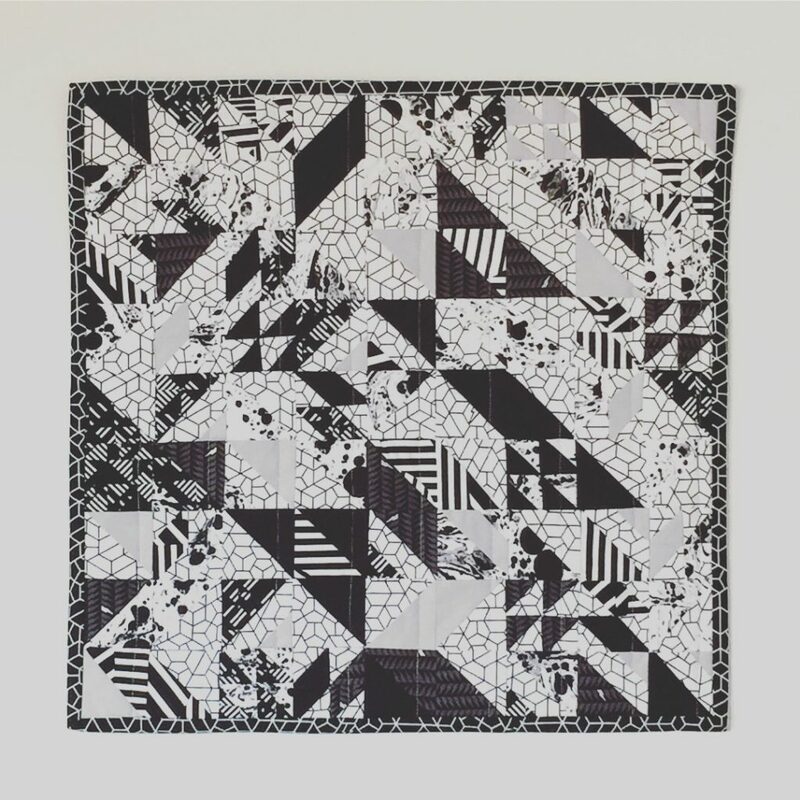 My partner in this swap prefers black and white fabrics so I’m working with a mix of blacks and white prints from the True Love fabric collection (by Libs Elliott of course!). 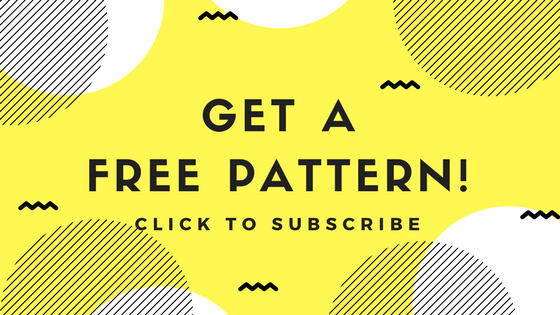 The pattern comes with a colouring sheet so it should be easy to puzzle out a plan. I may throw some grey solids in if I feel it needs more variety. I’m really excited about sewing up this mini version of the quilt before I tackle the full size Rebel quilt some time next year. (Technically, it will be a Queen size.) The fabric plan for that one is to use primarily some yardage of Cotton and Steel prints that I’ve been hoarding especially for that project. They are mainly brights from the Print Shop line, but I’ll also use some muted blues, greys, and mint to offset some of that brightness. Now that the swap is complete and the quilt has arrived at its destination, I can share it! This was super fun to make. Definitely a good warm up to make a larger rebel (though now I kind of have my eye on Just Like Heaven). Anyhoo, here’s the Mini Rebel that went to my swap partner! 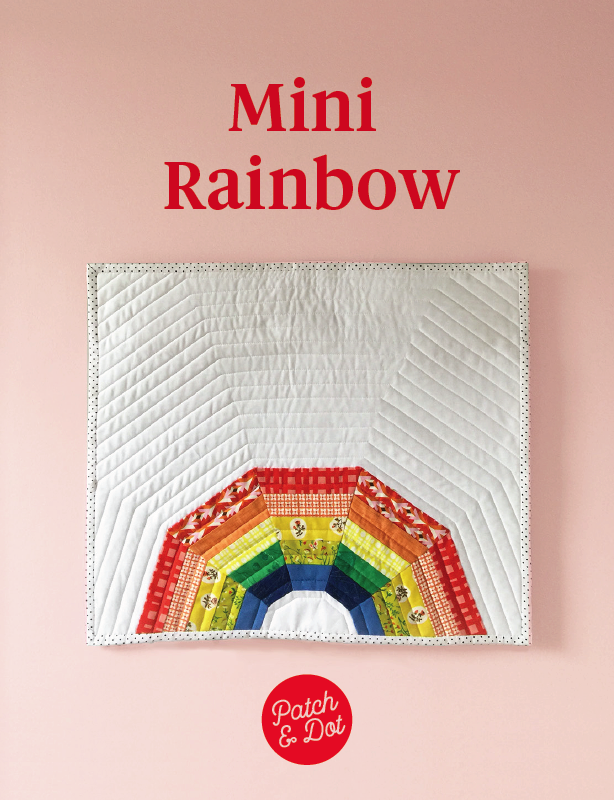 Looking for your next quilt project? 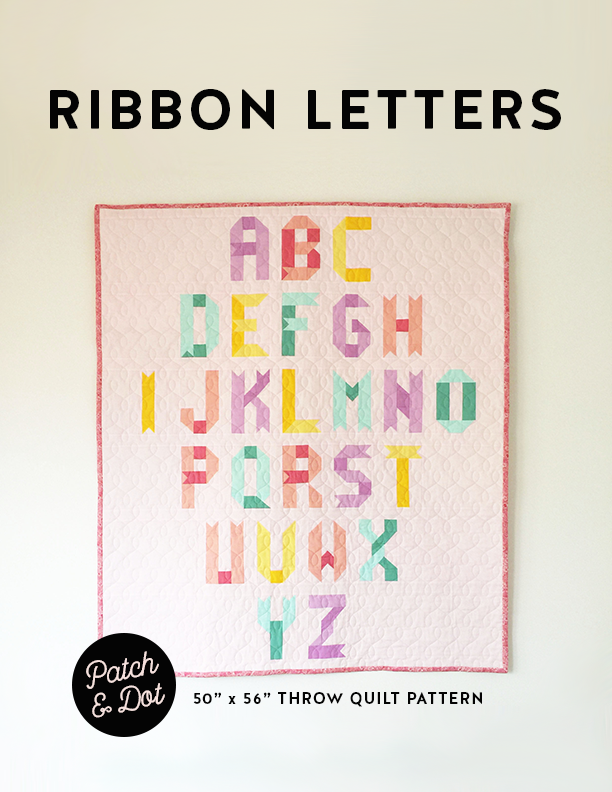 Try the Ribbon Letters pattern out with a free pattern for letters A, B, and C. Just enter your email below for the download!